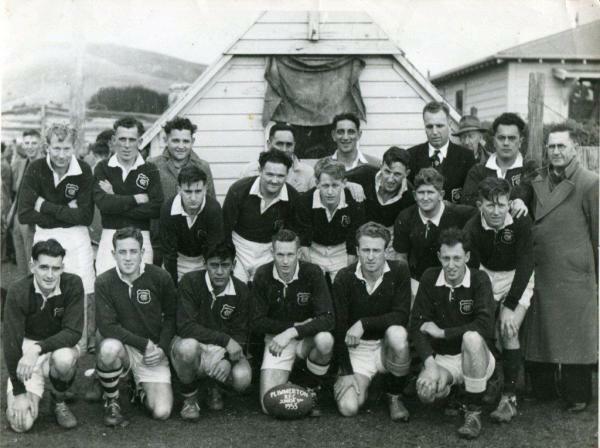 The Plimmerton Rugby Football Club was established in 1930. With no available field, the team had to hack out a surface from the Taupo Swamp , now the Plimmerton Domain. The team was made up of men from Plimmerton and Paremata, the latter having to come by train to the ground, because the Paremata Road Bridge was not constructed until 1936. 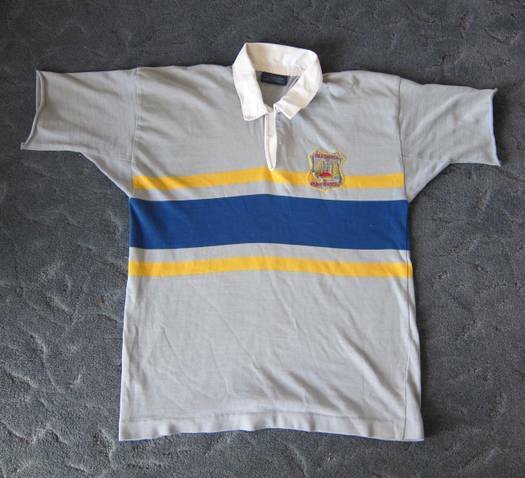 The official colours of the jersey were grey with royal blue strip edged with yellow. 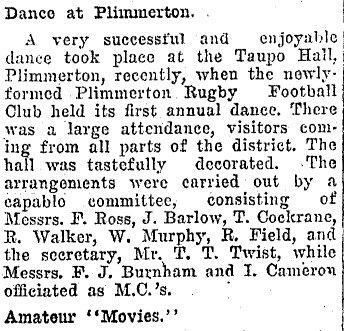 At the end of the 1930 season the Plimmerton Rugby Football Club had their first annual dance at the Taupo Hall, Plimmerton. One of the committee, Mr F Ross, was a team selector for the club and also a member of Plimmerton’s All Blax Minstrel Troupe. The troupe may well have provided entertainment on the night. It is not clear in which grade the 1930 team played, but we do know that in 1931 Plimmerton was playing in the ‘intermediate’ grade where they were runners up to Hutt with Poneke and Athletic equal third . In 1934, Plimmerton’s Junior 2nd won the clubs first championship, being unbeaten that year with a record of 11 wins and one draw. Middle Row: J. Johnson, N. Watt, J. O’Sullivan, (Captain) E. Murphy, (Coach) J. Barlow, (Vice Captain) R. Cameron, M. Martin. Front Row: C. Barlow, J. Murphy, W. Warren, H. Redward. In 1936 the Plimmerton team playing in the Junior A’s. 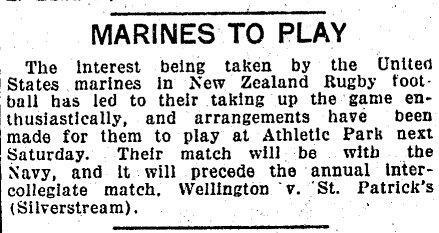 In 1939 Plimmerton was able to field two teams, one in the Junior 2nds and the other in the Fourth 2nds . 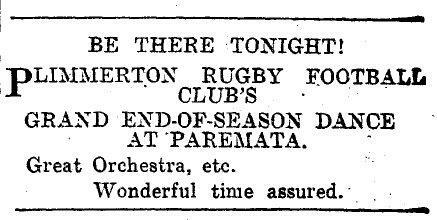 The end of season dance in 1939 would have been the last dance under ‘normal’ conditions, as from 3 September 1939, New Zealand was again at war and many of the Plimmerton footballers would soon be called up. The Japanese threat in the Pacific saw defensive fortifications built around the Plimmerton area. 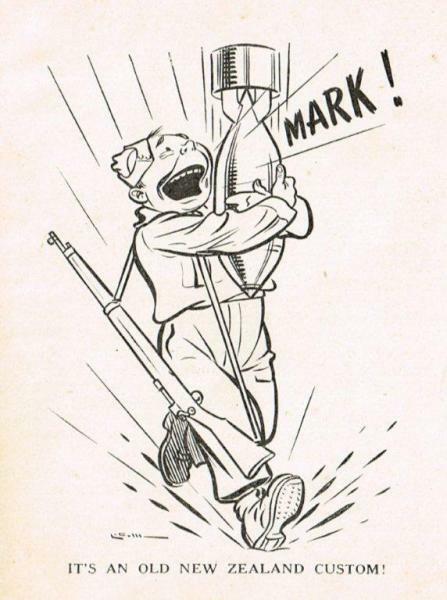 American Marines arrived in 1942 and were based at Dolly Varden and Motukaraka Point. 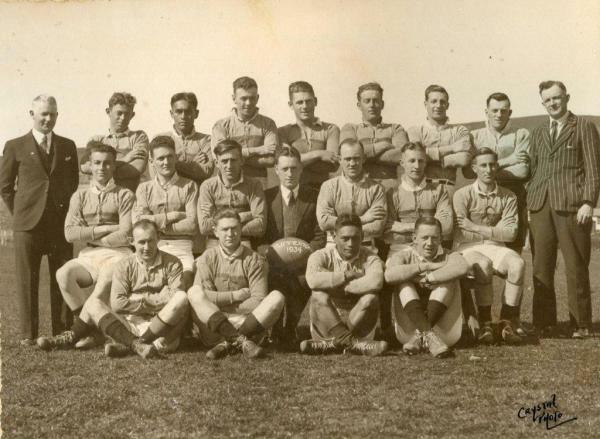 With the assistance of the locals,they developed an ‘understanding of rugby’ and by 1943 the Marines were able to field a team to play the New Zealand Navy. In 1945, with the War in Europe and the Pacific drawing to a close, and the easing of manpower requirements, the residents of Paremata decided to form their own club, based in the area of Ngati Toa Domain previously occupied by the armed forces. One of the new club’s first matches in the Third 3rds was against Plimmerton. It is possible that the low number of players for the Plimmerton Club at this time, made it very hard to field a team and the club may have gone into recession. This is one reason why in the 1953 photo below, a new jersey is being worn by the players of the Plimmerton Junior 3rds. The club required dispensation from the Wellington Rugby Union to play in a plain black jersey, with white collars, similar to the Woburn Club . Back Row (L to R) Tim Baldwin, unknown, Bill Casey, (In coat) Kara Warren, (Obscured) George Gunson, Ken Death, (in blazer) unknown, ? McBean. 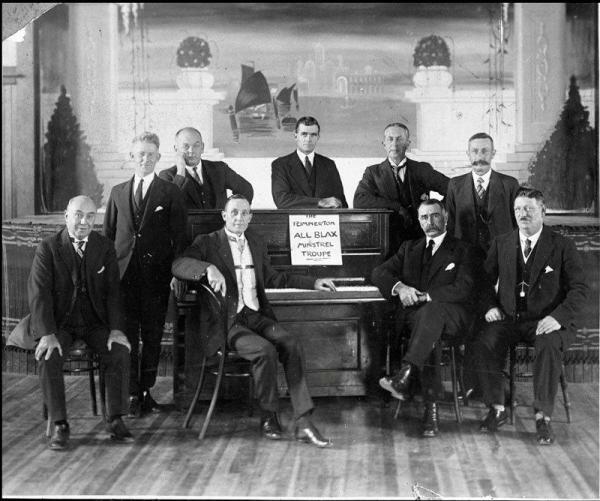 Middle Row: crouched Jack Green, Ivan Casey, Bruce Robinson, unknown, Hank McBean, Tom Mullin. Thanks to Mike Barry and Johnny Johnston for assistance in compiling this article. Wellington’s Rugby History 1870-1950: By A C Swan and G F W Jackson, Published by A H & A W Reed, Wellington. Rugby, Seasons Results: Evening Post 26 August 1931. [*] Frank Leslie Ross was a WW1 veteran and will be featured, in 2013, in the ANZAC stories section of the website.